This project exists in two parts: first, as a site-specific, durational installation, and second, as a sculpture for an interior space. The formal device conventionally used to isolate and objectivize natural artifacts becomes the object, and the environment becomes the acting subject. 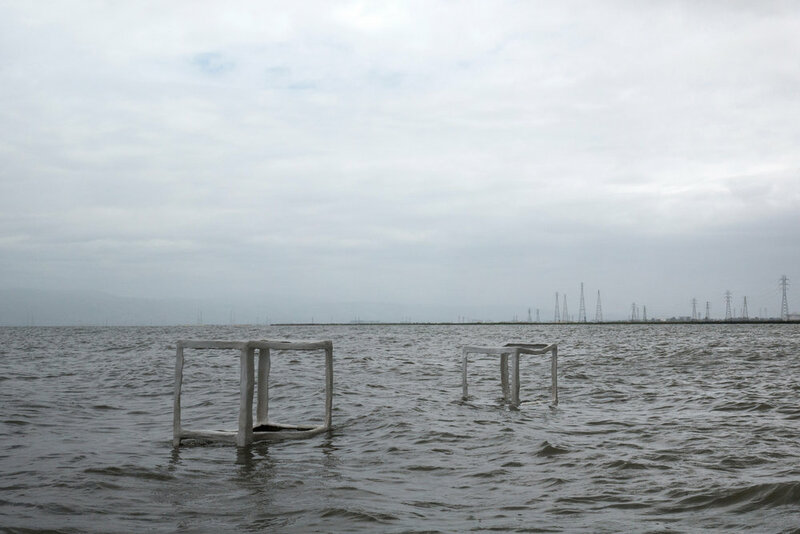 6 individual plaster structures intended to evoke museological vitrines were placed in a tidal mud flat near Palo Alto in the San Francisco Bay for one week. With large tides and high winds, the natural environment overwhelmed and eroded the structures. Furthering the conversation between the object and its environment, each structure was then “repaired” using Bay mud and plaster, and reconfigured as an architectural form for interior space.